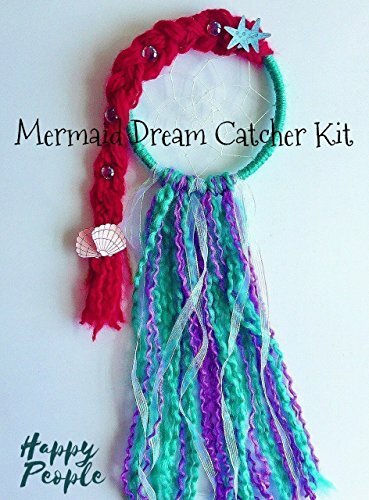 The Mermaid Dream Catcher Kit includes everything you will need to make your own magical Mermaid dream catcher. Great for gifts, birthday parties or a weekend craft project! Own the coolest new Mermaid trend. This project is fun and relatively easy for kids ages 5 and up. You will need a hot glue gun to finish this project. If you have any questions about this product by HappyPeople, contact us by completing and submitting the form below. If you are looking for a specif part number, please include it with your message.